Rooms from $143.95 per night. Description This Leola, Pennsylvania hotel has an outdoor pool, free internet access, non-smoking guest rooms and an on-site restaurant. 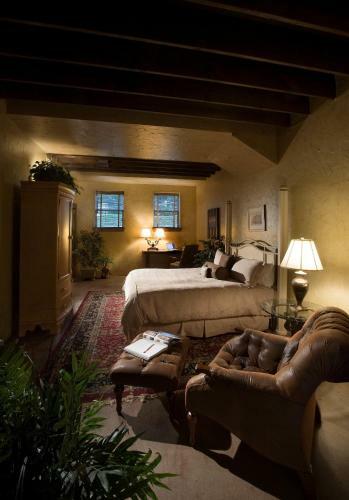 The Inn at Leola Village is a boutique-style property in a former tobacco barn with a roaring lobby fireplace a full-service spa a seasonal outdoor pool a billiards room a gourmet Italian restaurant and a gift shop on-site. The 63 elegant non-smoking rooms at the two-story Inn at Leola Village are set in a former Amish tobacco farm and boast Dutch-inspired touches. 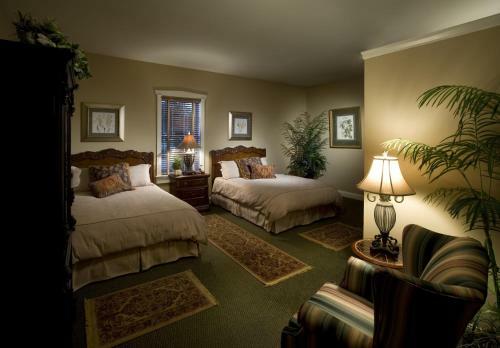 Accommodations are individually decorated and may feature everything from copper shower benches to sloped loft-like ceilings or handmade Lancaster County quilts atop fine linens. High-speed internet access coffeemakers and microwaves add to the welcoming feel and turn-down service lends a bit of luxe. Visit the flower shop to find blooms for a special someone and pick up necessities at the hotel's drugstore. Pass the day at the seasonal outdoor pool and snack bar. Before dinner at the inn's gourmet Italian restaurant rack up some balls in the billiards room or test your skills on the bocce ball courts or at the putting green. At the end of the day toast over cocktails in the lounge or curl up with a good book in front of the lobby fireplace. There's also a fitness center for working out and a spa for when all-out pampering is due. Browse for souvenirs in the gift shop before setting out to see sights. Parking is complimentary. The historic Inn at Leola Village is set amid Pennsylvania Dutch Country. Winterthur Museum & Country Estate is less than 40 miles away. Closer yet are sprees at Rockvale Outlets a six-mile drive. Strassburg Railroad is 10 miles from the hotel. Thrills at Hersheypark may be had 34 miles away. Philadelphia International Airport is reached within 63 miles. 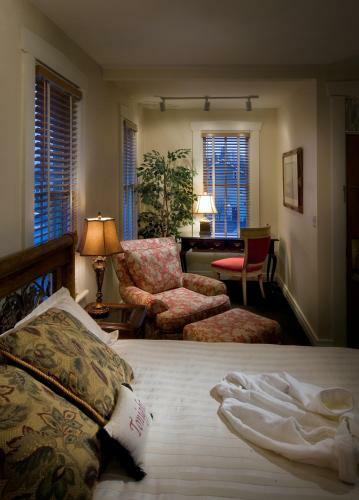 Add The Inn At Leola Village to your free online travel itinerary.